At the beginning of (and during) each month, Netflix adds new movies and TV shows its library. Below, you’ll find our October recommendations. For more comprehensive coverage of the best titles available on Netflix and elsewhere, check out Vulture’s What to Stream Now hub, which is updated throughout the month. 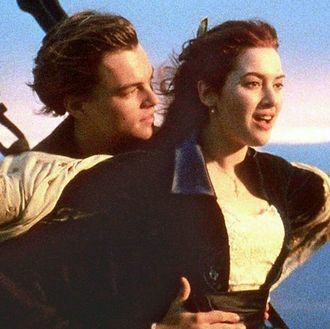 James Cameron’s epic is one of the highest-grossing movies ever made, so let’s keep this simple: Leonardo DiCaprio is a dreamy stowaway, he swoons over Kate Winslet, a big boat hits a big iceberg, and there was totally enough room on that plank for two people. Available October 1. One of the greatest American films about teenage life, Dazed and Confused established Richard Linklater as an auteur to wtach and put a young Matthew McConaughey on Hollywood’s radar. Set in an Austin suburb in 1976, it follows a scattershot collection of teens on the last day of school as they party, flee bullies, pursue crushes, and aimlessly cruise around town. As the soundtrack can attest, this is the definition of a chill-out movie. Available October 1. One of the other greatest American films about teenage life. Ferris Bueller not only inspired a generation of ‘80s kids (along with a truly lackluster TV show), he also epitomized the warmth and charm that made so many John Hughes movies so satisfying. Available October 1. After a nearly two-year wait, Charlie Brooker’s portentous sci-fi series returns to make its big Netflix debut. The third season of Black Mirror is its longest yet, boasting a lineup of actors including Gugu Mbatha-Raw, Mackenzie Davis, Bryce Dallas Howard, Michael Kelly, and Kelly Macdonald. We know little about the satirical techno-horrors that Brooker concocted for this go-around, but make no mistake: They’ll be as chilling as they are perceptive. You’ll probably want to put your iPhone down before you watch. Available October 21. Ava DuVernay’s bracing documentary about mass incarceration is a surefire Oscar contender. The first documentary to ever open the New York Film Festival, it considers the legacy of slavery in modern America, the unfulfilled promises of the 13th Amendment, and racial inequality within the criminal-justice system. Available October 7.